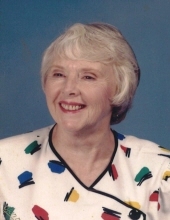 Mary Judson Merritt Corbin, 84, of Pensacola, FL passed away on Wednesday, February 6, 2019. Ms. Corbin was born April 14, 1934 in Argyle, FL. She was a member of East Brent Baptist Church and served as a Federal Civil Service employee for over 30 years. Ms. Corbin was active in the Magna Charta Dames, Daughters of the American Revolution and the United Daughters of the Confederacy. She was privileged enough to serve in these organizations side by side with her sister. Ms. Corbin was a sweet lady to know and a true friend to all. She is preceded in death by two sons, Chris Scrip and Peter Scrip, Jr.; her parents, Ray and Tommie Louise Merritt; her beloved sister, Catherine Greene; and a brother, William Merritt. Leave to cherish her memory are her dear friends, Boyce Cropper and his wife, Carolyn; and her friend for 50 years, Betty Stephenson. Visitation for Ms. Corbin will be held on Tuesday, February 12, 2019 from 12 noon until 1:00 P.M. at Faith Chapel Funeral Home Chapel North. Funeral services will begin at 1:00 P.M. with Dr. Dale Patterson officiating. Interment will take place at 2:00 P.M. at Jordan Cemetery, Cantonment, FL. In lieu of flowers donations may be made in Mary’s memory to St. Jude Children’s Research Hospital, 501 St. Jude Place, Memphis, TN 38105. To send flowers or a remembrance gift to the family of Mary Judson Merritt Corbin, please visit our Tribute Store. "Email Address" would like to share the life celebration of Mary Judson Merritt Corbin. Click on the "link" to go to share a favorite memory or leave a condolence message for the family.